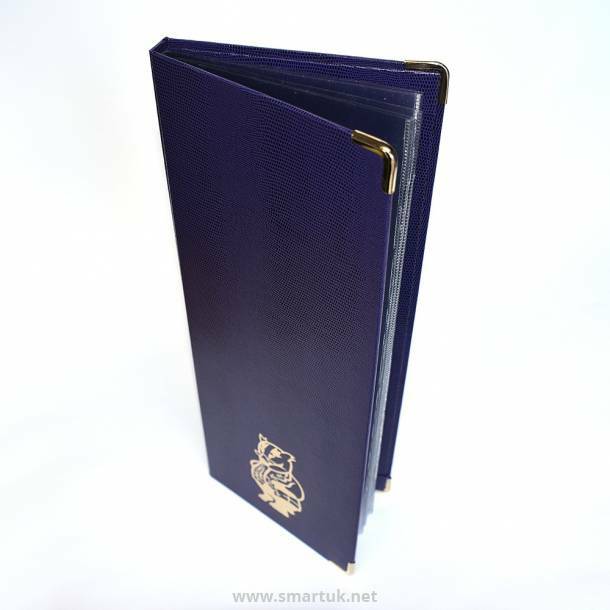 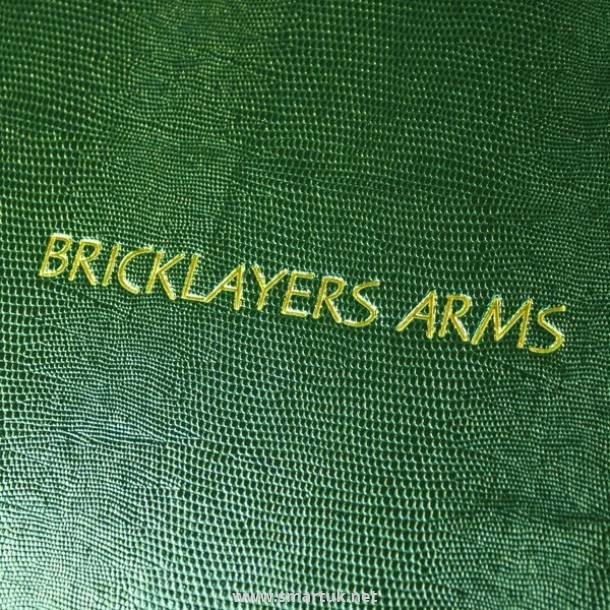 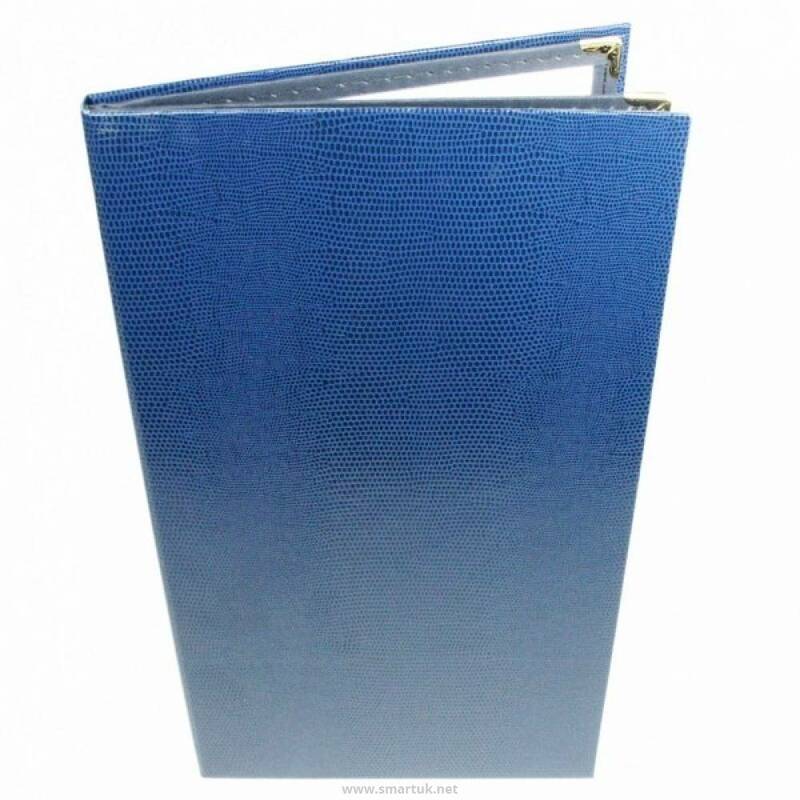 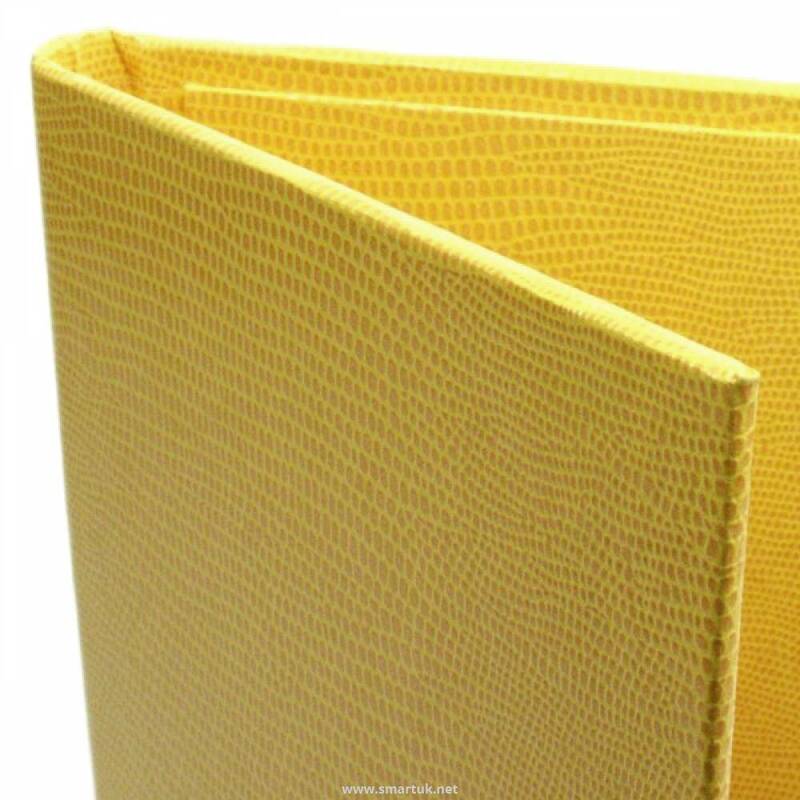 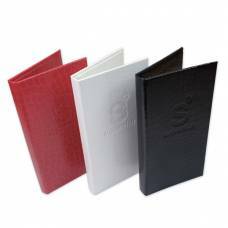 Lizard Pellaq Menu Covers - this slim, hard menu cover with its lizard skin finish is extremely unique and will provide your dining establishment with a little exotic quirkiness. 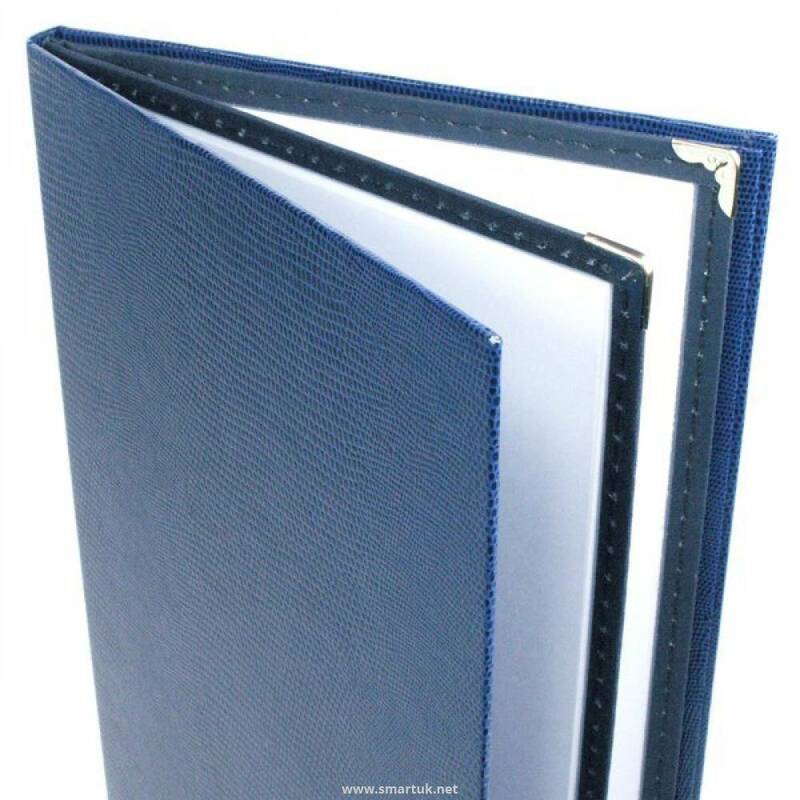 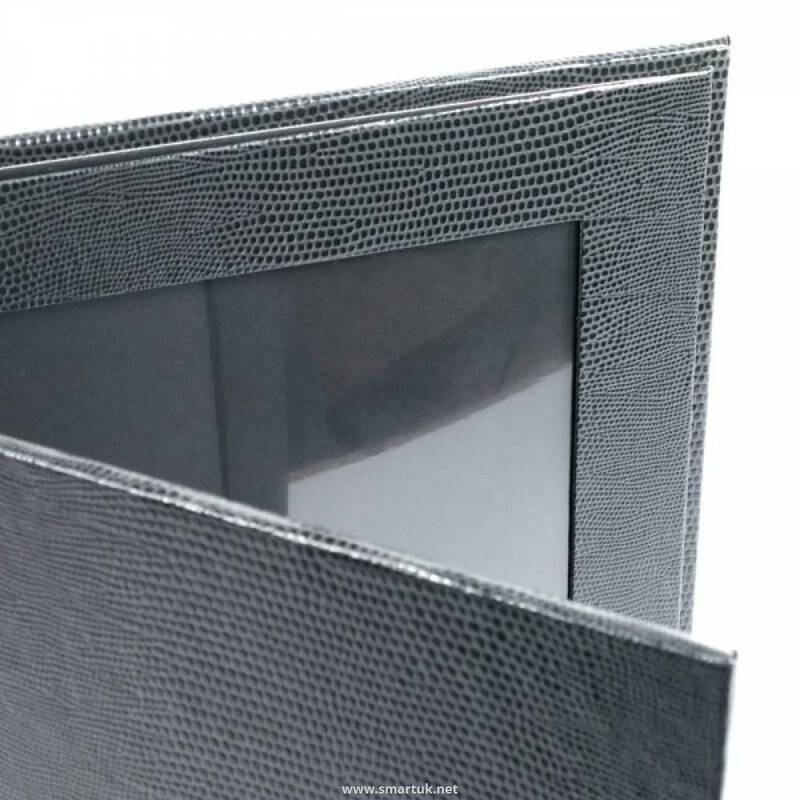 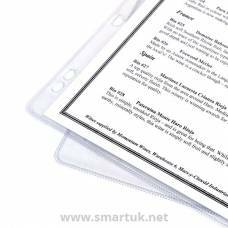 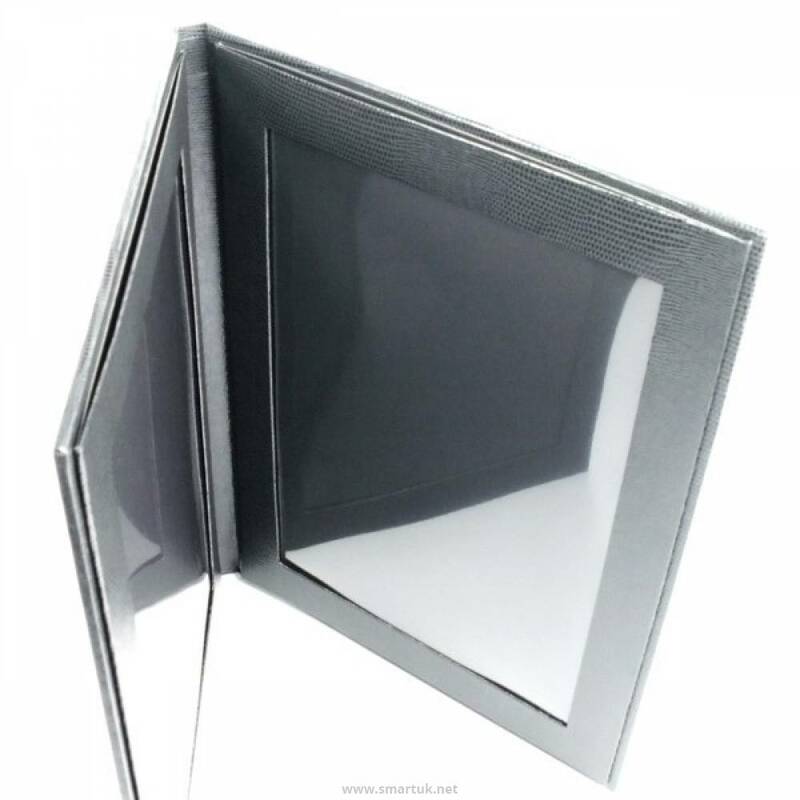 The Lizard Pellaq menu cover is available with many different fixing systems, including your traditional picture frame fixing and corner retainers fixing; but also a new and innovative fixing, where paper is held in place by two parallel bars at the top and bottom of each page using removable opaque acetate. 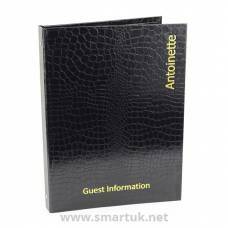 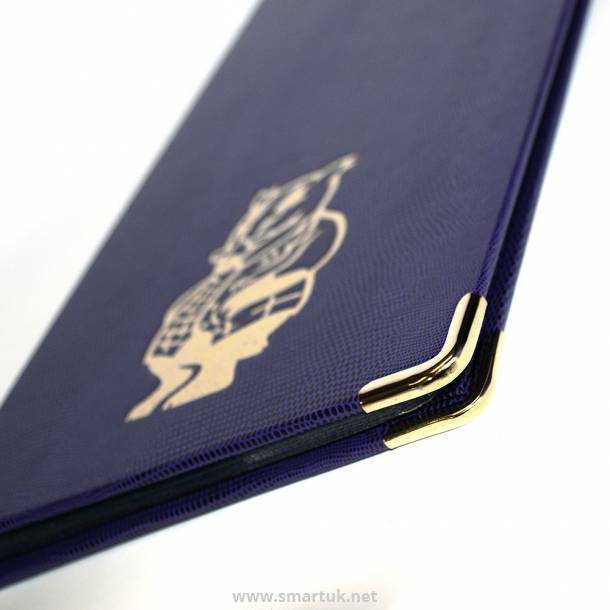 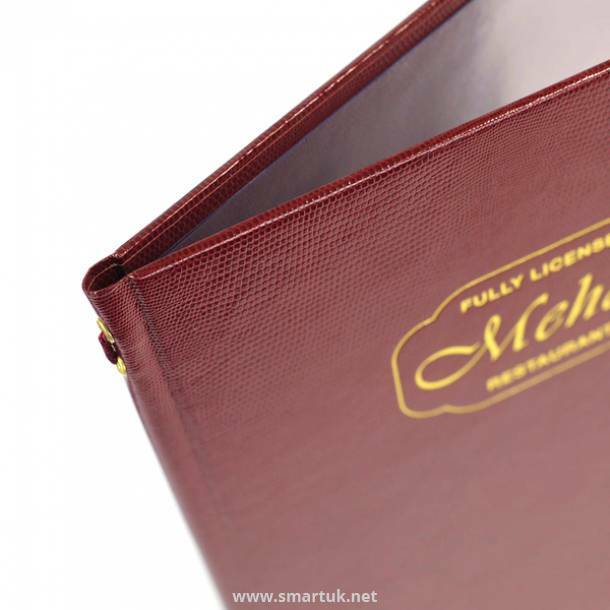 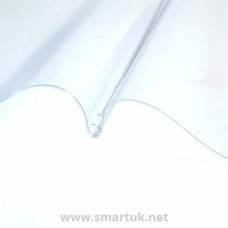 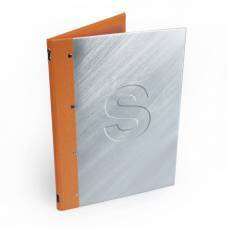 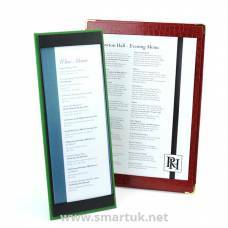 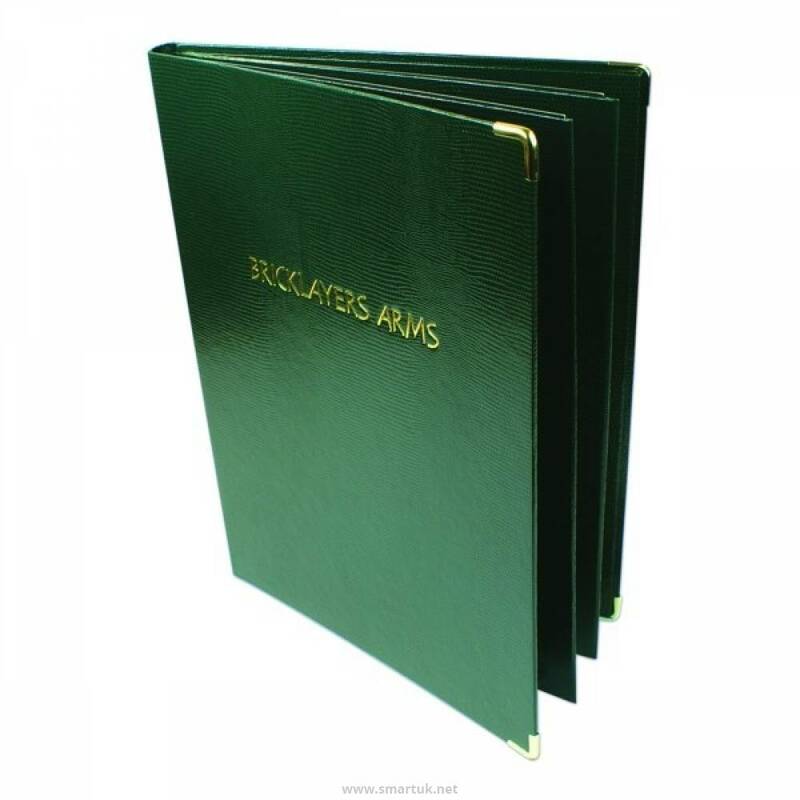 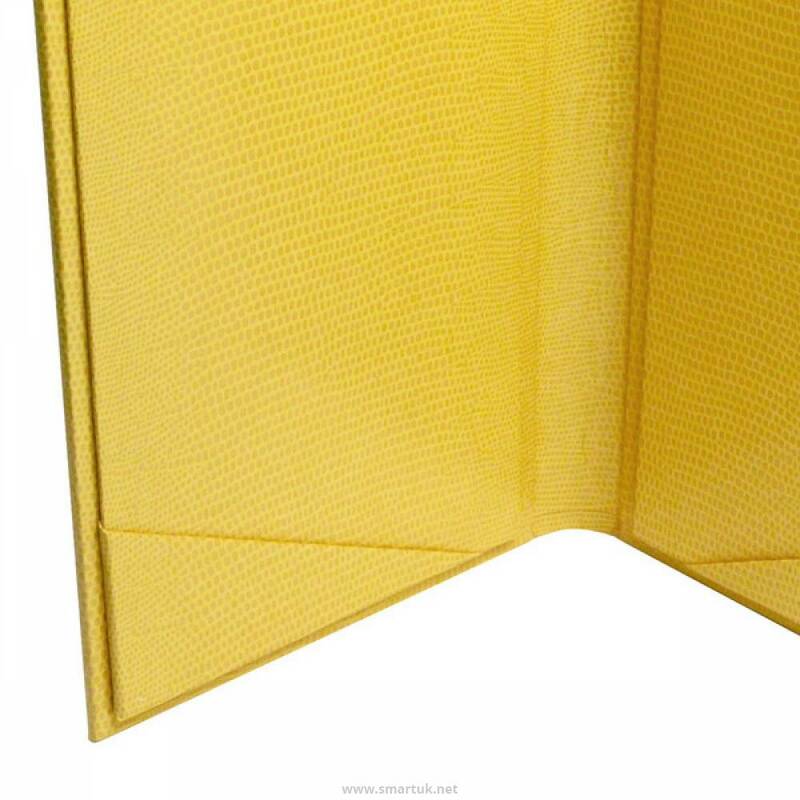 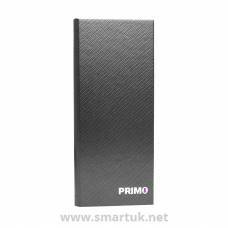 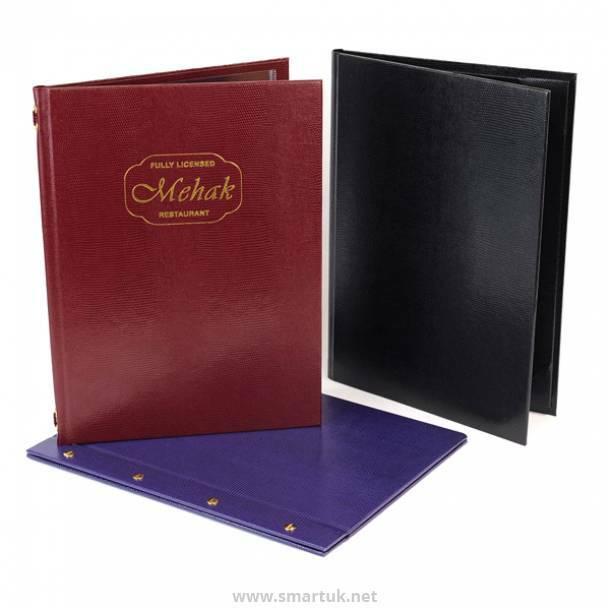 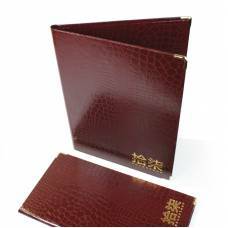 Silver or gold colour rounded corner protectors are available for all four corners of this restaurant menu cover, free of charge if required. 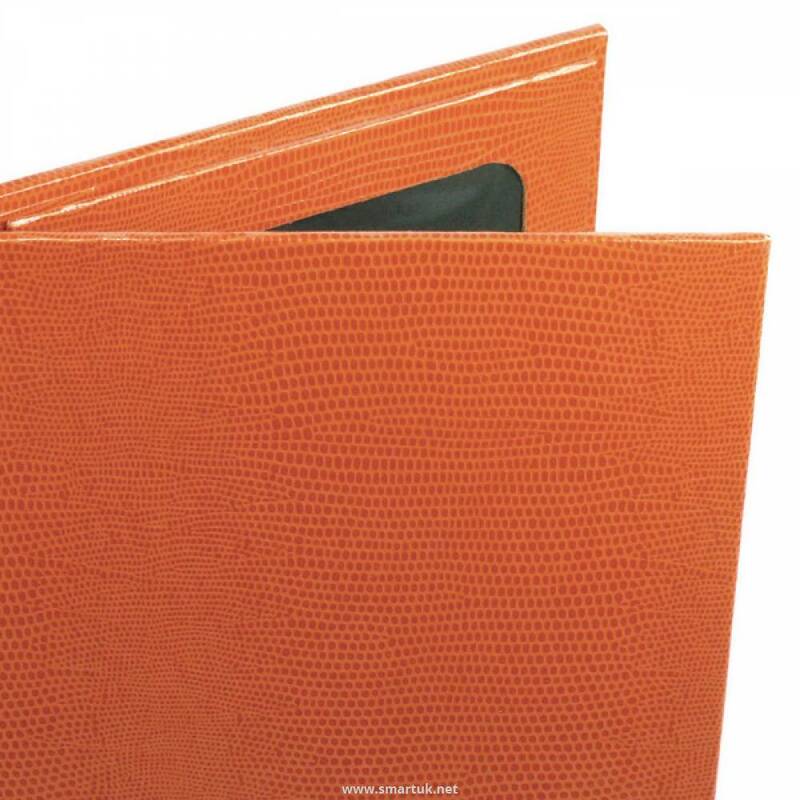 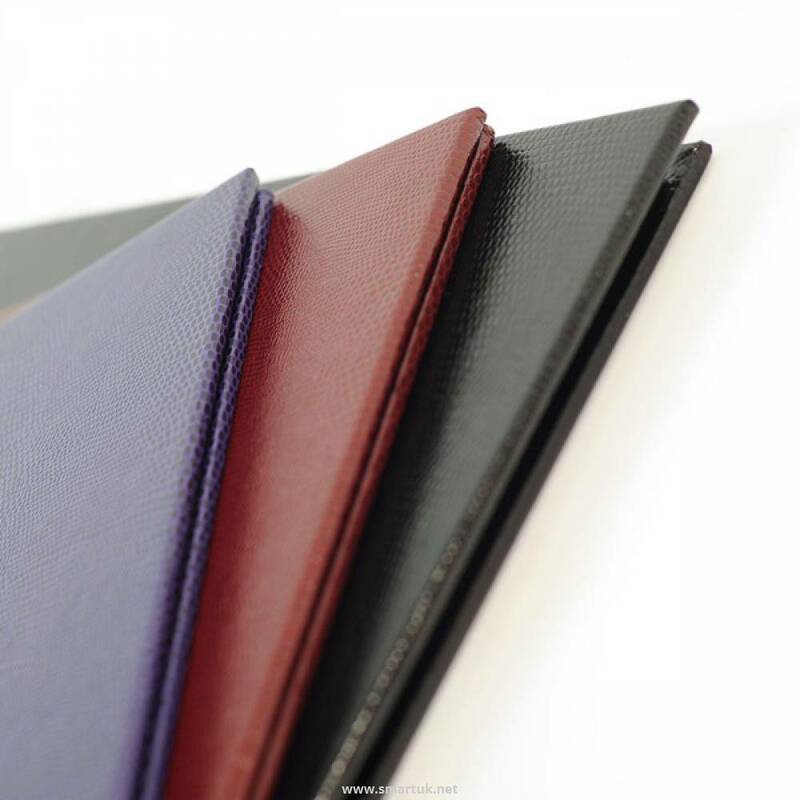 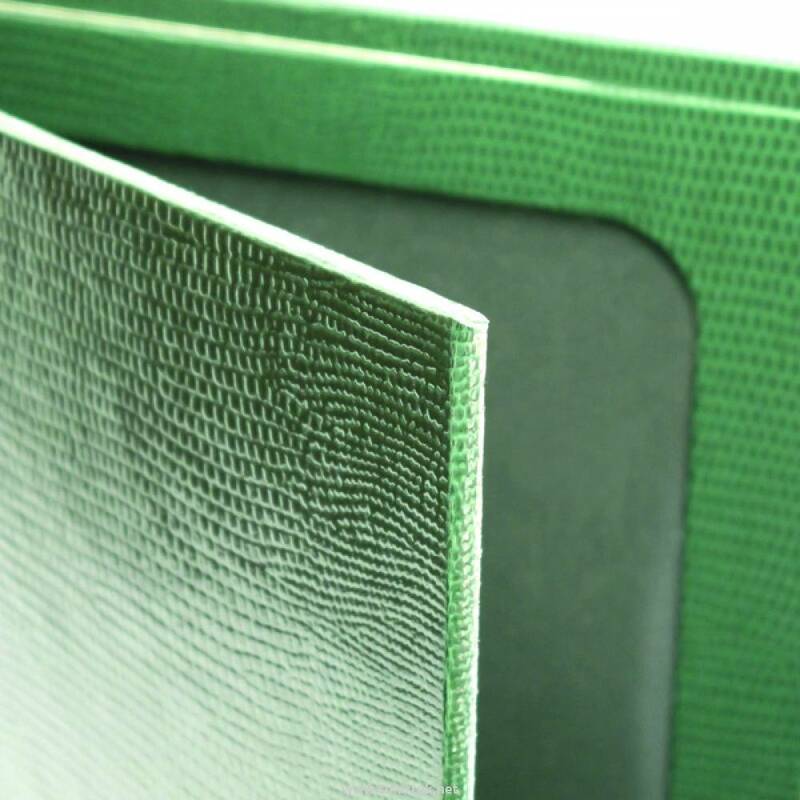 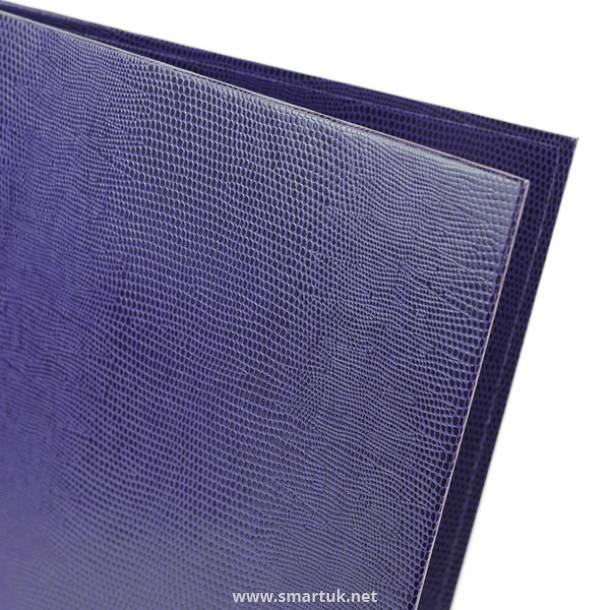 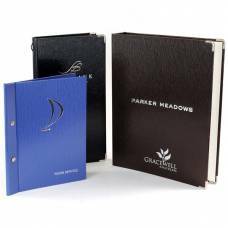 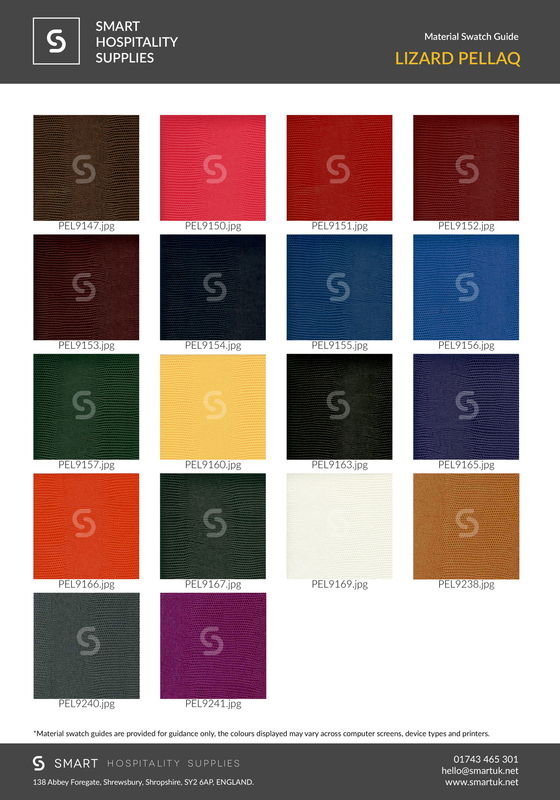 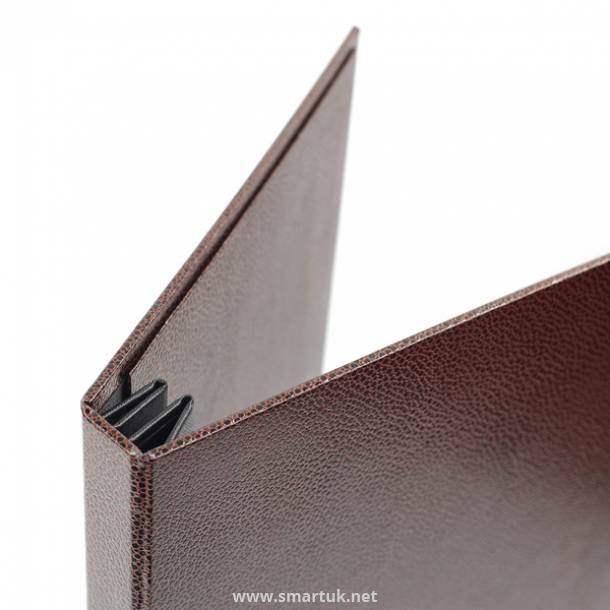 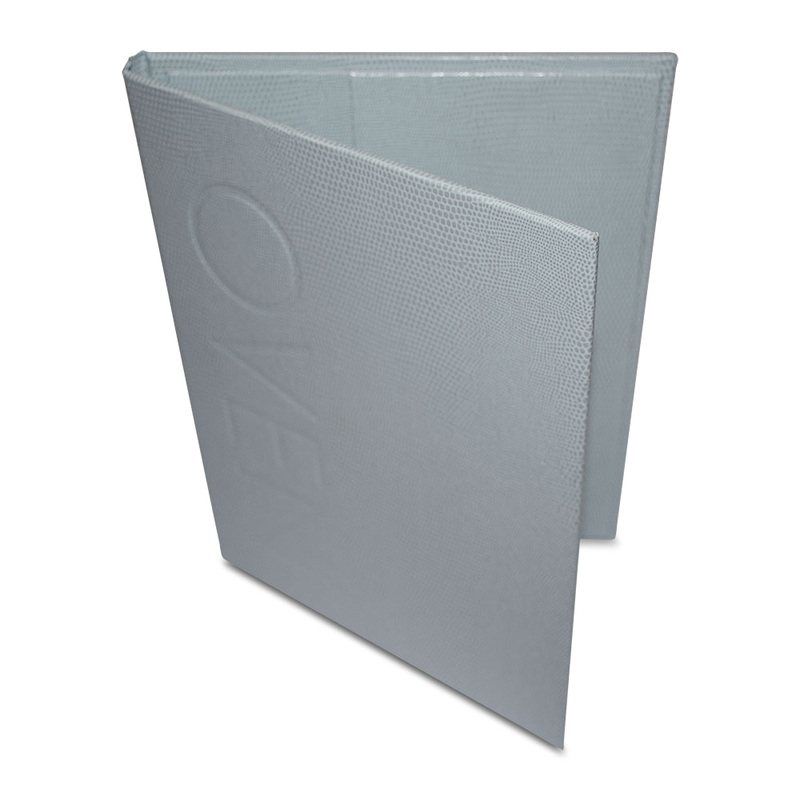 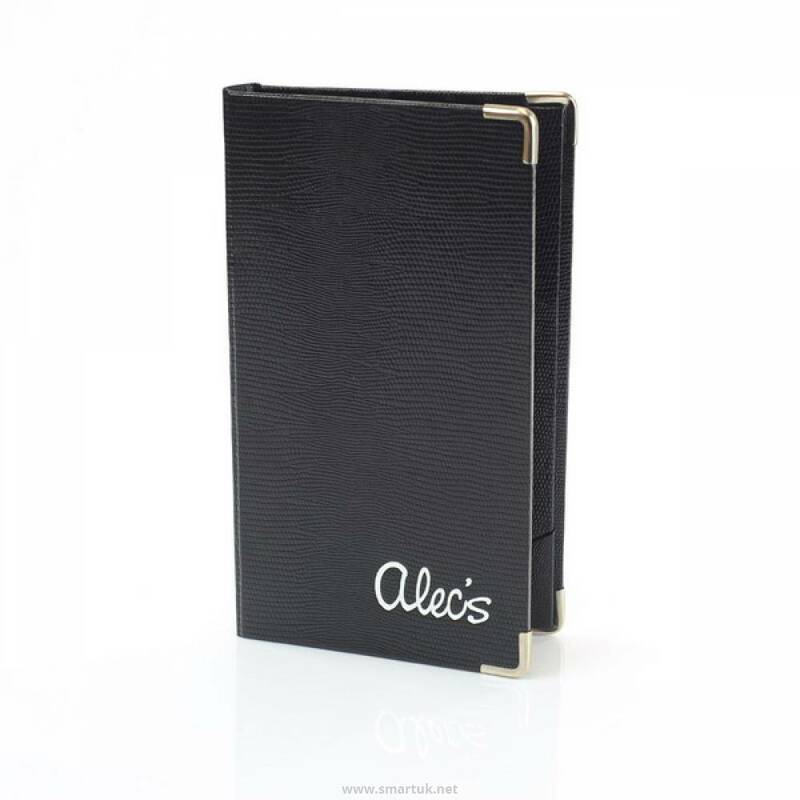 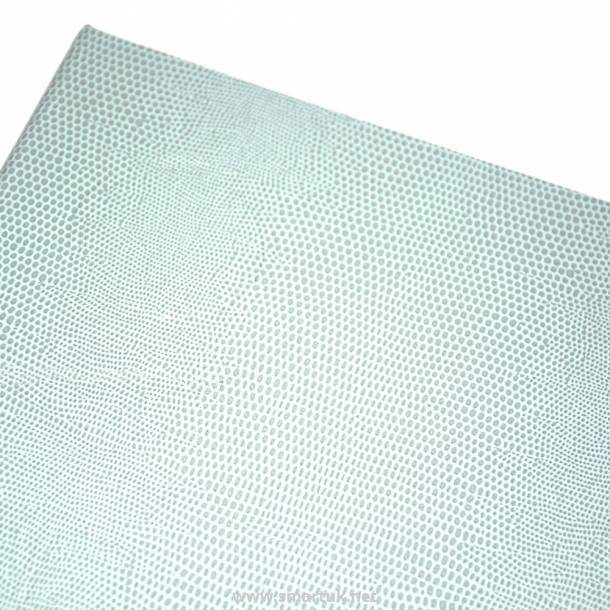 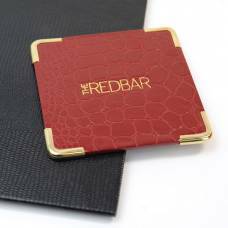 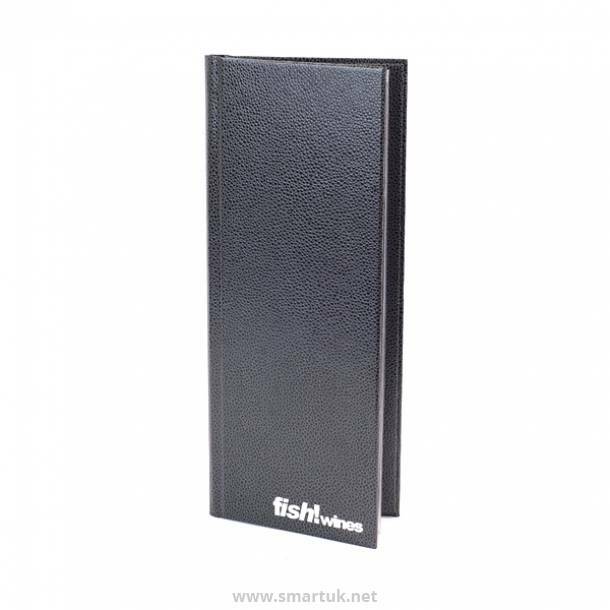 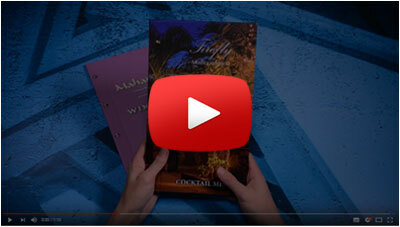 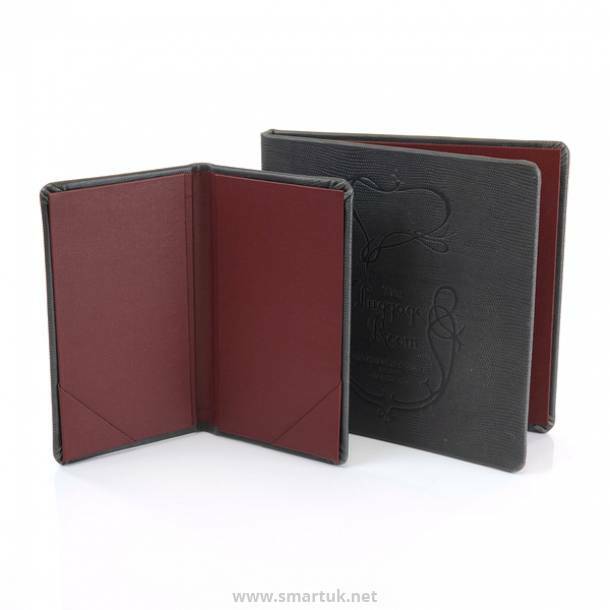 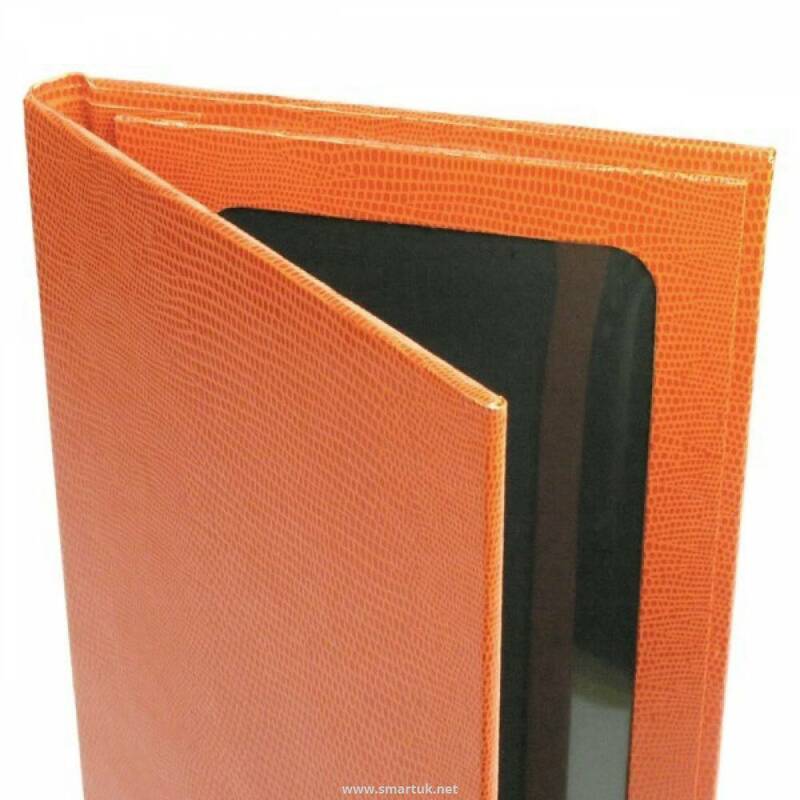 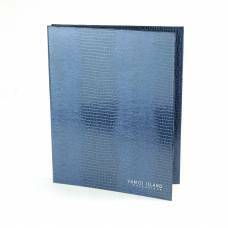 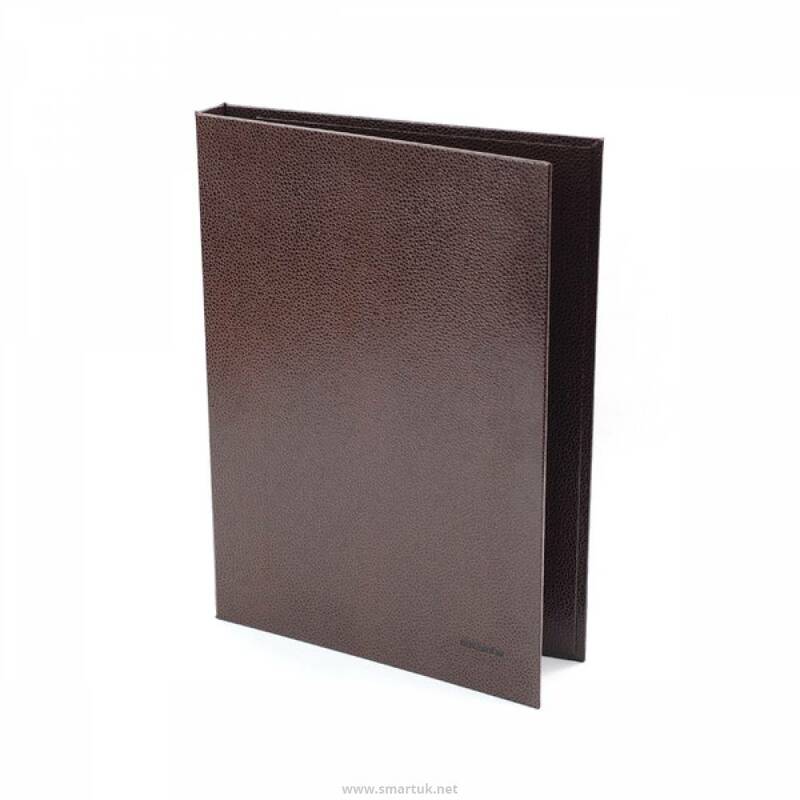 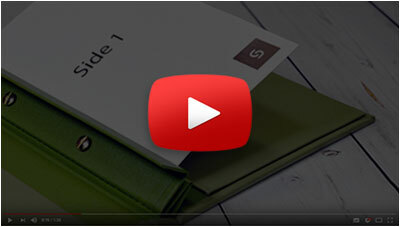 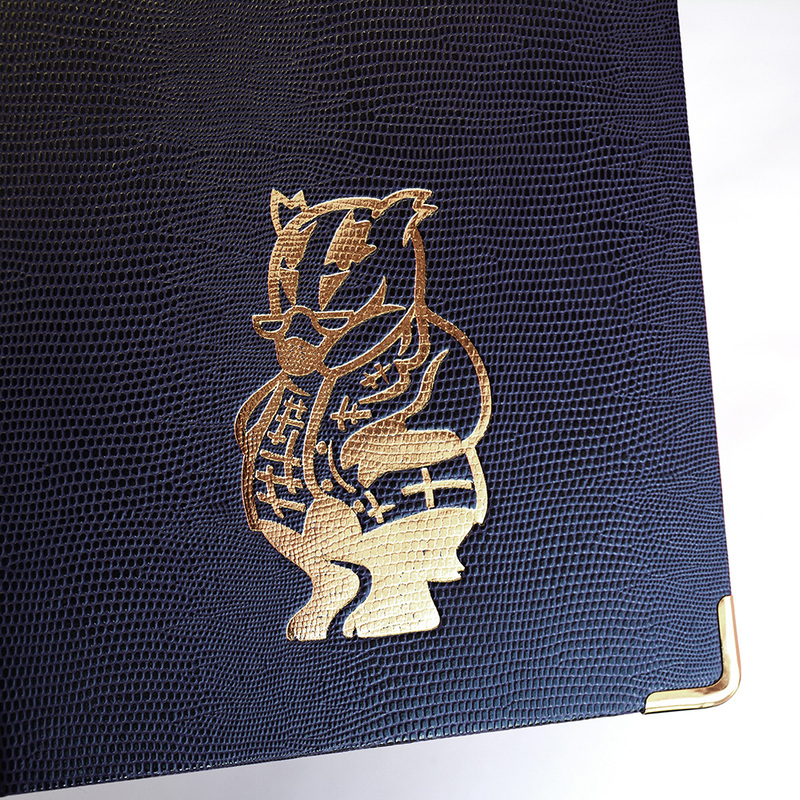 Pellaq material for manufacturing menu covers is a part of the Skivertex line, a premier menu cover material chosen by designers for its striking visuals, it features a high gloss simulated leather texture in four high-end reptile patterns. 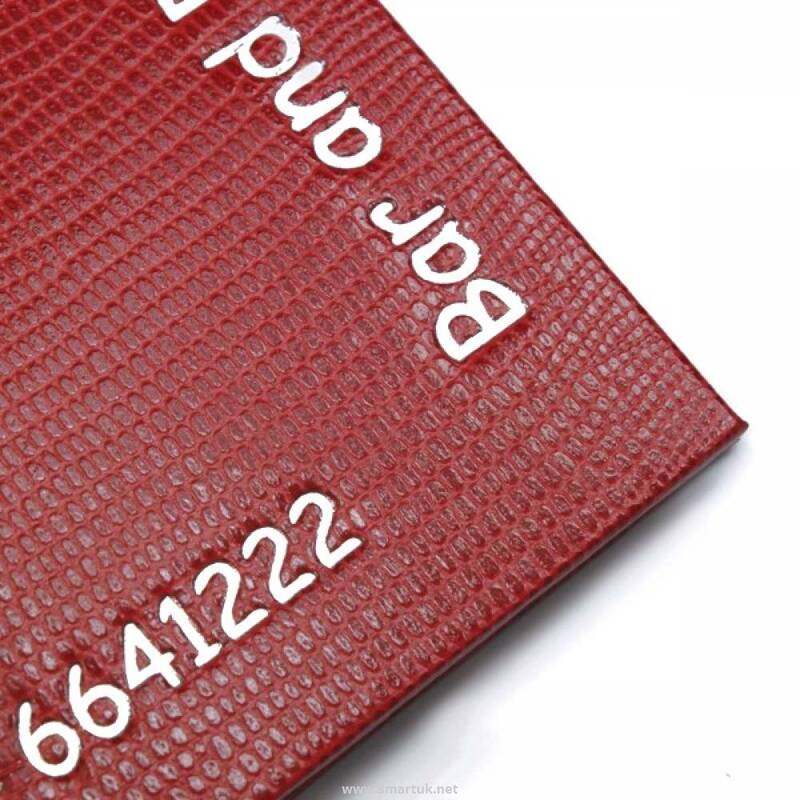 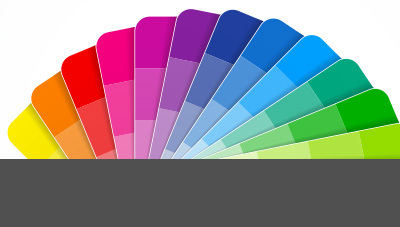 Pellaq is colourfast and moisture resistant, featuring a high-gloss, scratch resistant surface. 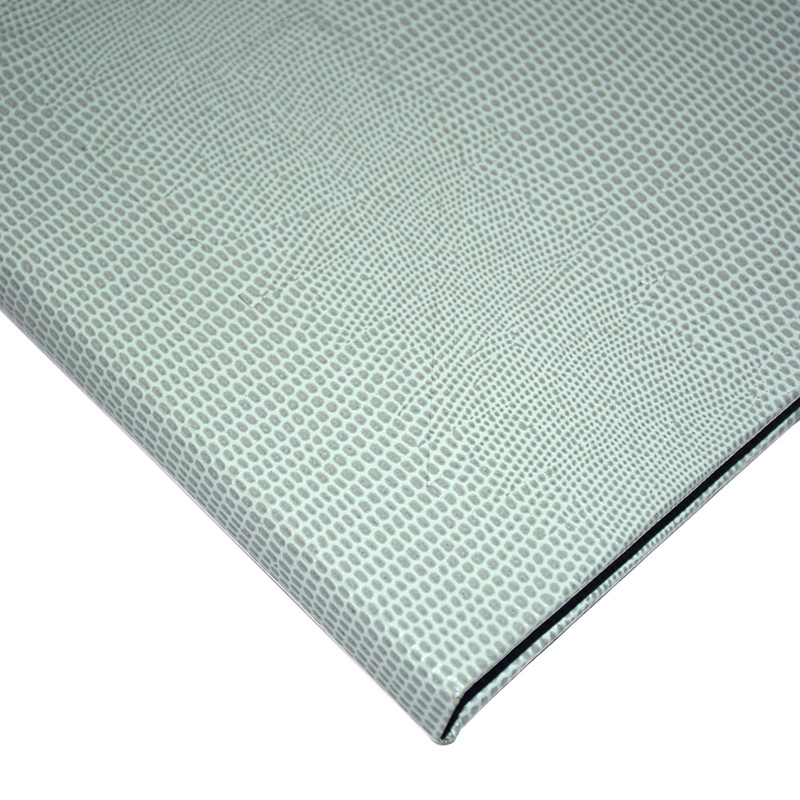 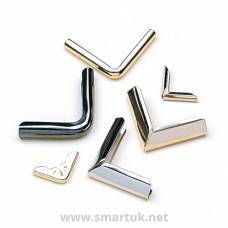 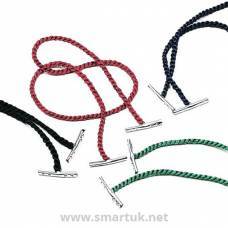 Furthermore, the Pellaq line offers excellent tear resistance and internal strength. 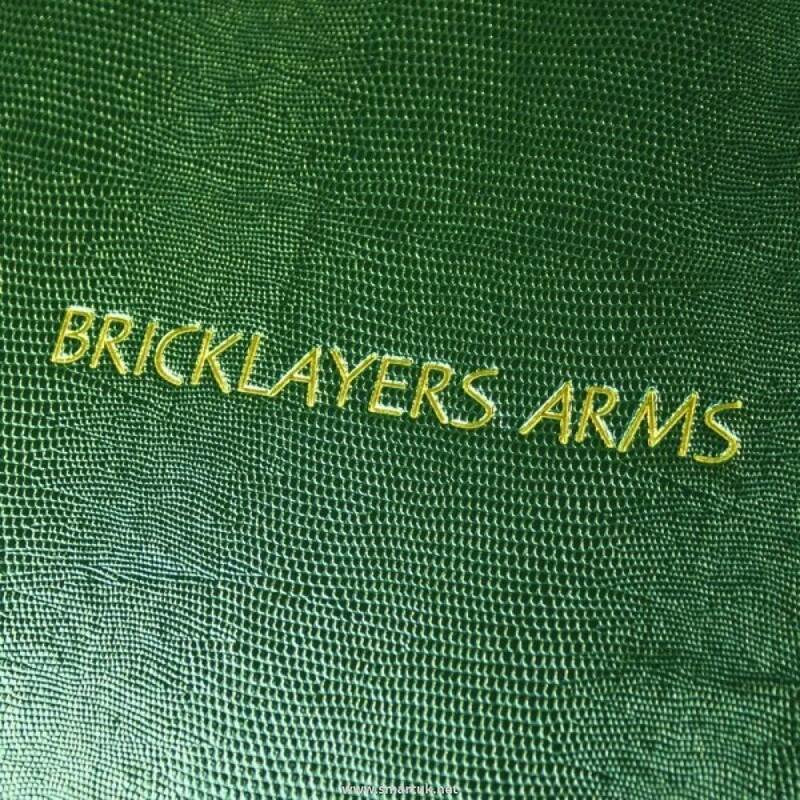 This is definitely the range for your establishment if you're looking for something quirky and fun, but also quality-driven.